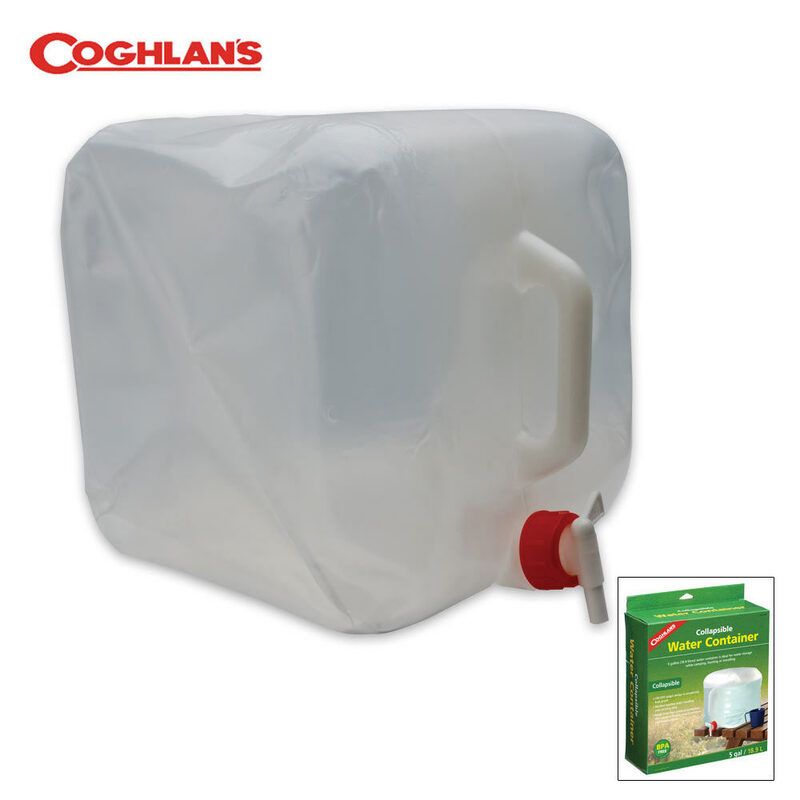 Coghlans Collapsible 5 Gal Water Container | BUDK.com - Knives & Swords At The Lowest Prices! A convenient way to transport and use water wherever you need it. The convenient on/off spigot is removable, so it's easy to fill. The Carrier’s molded handles make for easy carrying. When empty, the Carrier folds flat for easy transport and storage.